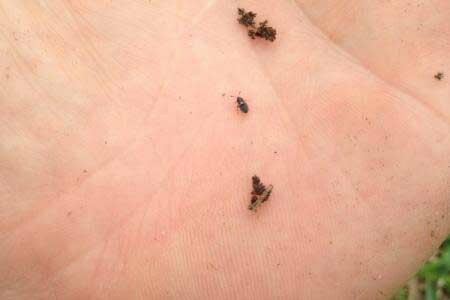 It's official: We've found the first Chinch Bug of the season in a St. Augustine Lawn. We found the chinch bug above in this lawn. As you can see, the St. Augustine is very patchy with both dead and yellowing areas. Some of this damage is most likely from last year, but will now be compounded by a new infestation of chinch bugs that are already present. 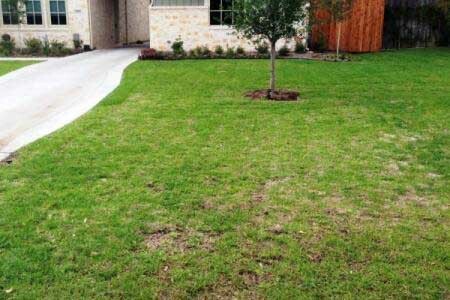 Chinch bugs can cause serious damage to lawns, especially during hot, dry weather. The most common way to kill chinch bugs is by using chemical pesticides; but a downside of this is that pesticides can damage the bio-activity in your soil and they also kill natural chinch bug predators. 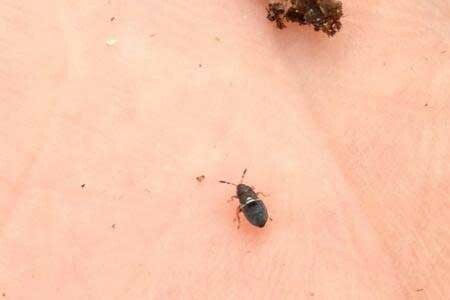 We can treat naturally for chinch bugs as part of our Organic Soil Building Program. Please give us a call today at 972.272.9211 or CONTACT US online for more information.